Top 6 Supplements For Size: New List Supports Lean Mass-Building Goals! I present the six supplements I used (and you can too), to put on quality lean body mass. Remember to check out with your doctor if these supplements are appropriate for you or not. Does everyone remember the old Charles Atlas cartoon? The one where a 98-pound weakling gets sand kicked in his face at the beach by a big, hulking brute? But then the little guy comes back as a big bodybuilder and gets his pride (and his girl) back. I bet you're wondering how he did it. How he went from 98 lbs of sinew and muscle to a lean, mean muscle machine. Well, from personal experience, ladies and gentlemen, I can tell you, 'It isn't easy.' My 8 year battle with an eating disorder left me at a weak and mousy 95 lbs. I was, literally, the little weakling. But I was ready to make a change. When I decided to make that change for the better and live a healthy lifestyle, I knew certain things had to be in place if I was going to be successful: A solid training regimen, a clean, healthy nutrition plan, and a social network of people to support me, like the forums on Bodybuilding.com. I made it to 125, but still felt like there was something missing, but then stalled. It took me days and weeks of searching, but the Bodybuilding.com store, and my friends, led me to the answer: Supplements. I needed a bit of help in this department. Remember that although supplements are helpful, they shouldn't be the nuts and bolts of your plan. You should start with a solid foundation of training and diet, and then build on that with supplements. So using the wealth of knowledge I found online, in magazines, books, and journal articles, I present the six supplements I used (and you can too), to put on quality lean body mass. Remember to check out with your doctor if these supplements are appropriate for you or not. synthesis and decrease protein breakdown. retention, which happens outside the cell. Your muscles really are getting bigger, fuller, rounder-from the inside out. This could enhance muscularity and create an improved environment for muscle growth. fast-sometimes within a week. When you're trying to put on lean mass, creatine clearly helps with your gains. that are used for building muscle tissue. Whoa! 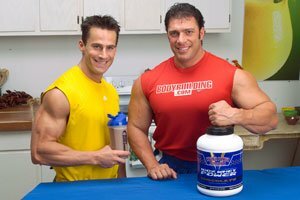 Nearly every bodybuilder knows the importance of protein supplementation. and cellular responses seem to be greatly enhanced with supplementation of whey protein, too! and helps support a healthy immune system. Most importantly, consistent whey protein intake coupled with exercise will result in consistent muscle building. Levels Are Reduced By As Much As 50%. levels when as little as 2 grams of free-form L-glutamine supplement was consumed! 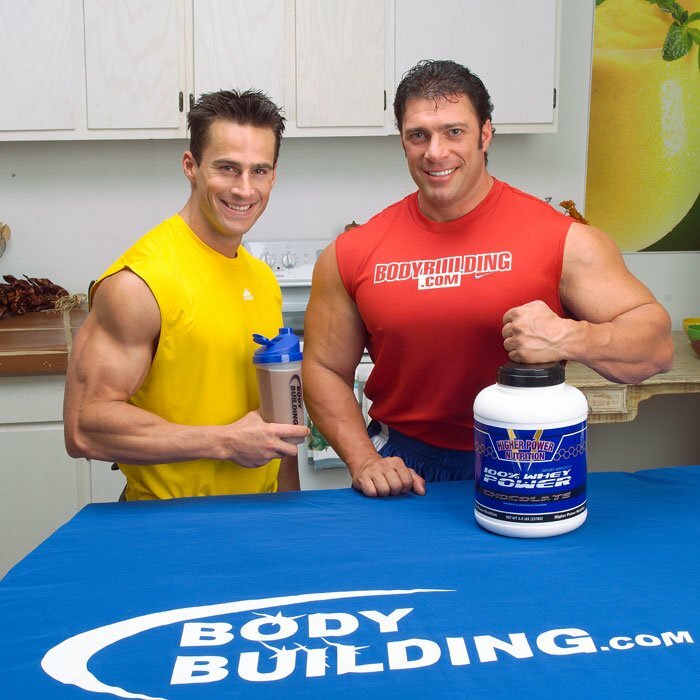 Bodybuilders can particularly gain from the intake of glutamine. [ Click To Join The Thread. ] Best Glutamine Product? Hey guys, what's the best glutamine product out there or which ones did you guys enjoy using? are probably the most valuable and underrated supplement on the market. In fact, they really are not supplements at all when you come to think of it. They are complete meals. People are always looking for the magic solution to fat loss or building muscle, buying some drink or pill that promises miraculous results. We gain body fat by having poor eating habits, so the only way to undo the damage is to reverse the cycle by developing good eating habits. Meal replacements make this possible. They're for people who don't have the time/money to prepare a calorie-dense, nutrient-rich meal everyday. , or juice and then drink in the place of a meal. They are convenient, inexpensive, and most taste pretty good. Meal replacements provide a perfect, compact meal in a packet. They are very nutrient dense and can be mixed easily and conveniently. Look for one that has adequate calories and macronutrients basd on your goals. Similar to, but not the same as Meal Replacement powders. or satisfy your hunger in a healthy way. If you are trying to gain muscle, you would want a high protein, high calorie bar that is relatively low in sugar and fat. If you are simply trying to find a quick meal replacement, a protein bar with medium carbs and medium calories would most likely be for you. To Be The Perfect Meal. Even though you're trying to gain size, there's a right way, and a wrong way to do it. You DO want a calorie/nutrient dense bar, but you don't want one loaded down with unhealthy fats and sugars. and improved performance. An increase in intramuscular carnosine levels can increase the buffering capacity of a muscle by up to 20%. and Beta-Alanine work together to maintain optimum muscle power output, as well as promoting a healthy body weight.